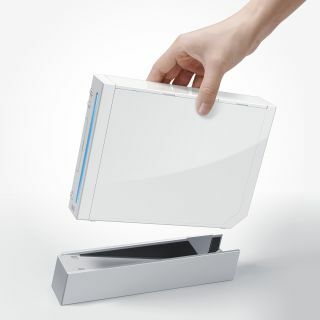 Nintendo to bring 3D to the Wii 2? Would you Wii in 3D? Nintendo President Satoru Iwata has hinted to journalists at E3 that the company's next console may have 3D capabilities. Nintendo shone at this year's E3 expo, announcing a new handheld – the 3DS – and an update to both the Zelda and Mario franchise. While the 3DS offers up glasses-less 3D, it seems that the next iteration of the Wii would use similar 3D to Sony's PS3, with Iwata saying: "If you display a 3D image, the image quality becomes extremely bad, so we'd probably do it with the next system. "We're thinking that the timing should be once the 3D television adoption rates cross the 30 per cent mark. We're looking at the adoption trends." 3D is definitely not a mainstream proposition at the moment and it is this reason, along with expense, that Microsoft has opted out of offering up any 3D gaming content this year. Knowing Nintendo, it is not going to jump into the 3D world until it has become popular. Although the idea of playing a Wii game in the third dimension is an enticing one, considering the Wii isn't even in hi-def yet we may have a long time to wait.